Anyone who’s done a serious fitness regimen has experienced hitting a plateau at some point. It can be frustrating, challenging, and even confusing to figure out the reasons why a workout has suddenly lost its effectiveness or why progress has come to an abrupt halt. It is also mind-boggling to figure out what to do and how to reverse the situation. Nobody likes a plateau and it is the dreaded point in the training course of every exercise and fitness enthusiast. Thankfully, there are a number of resources from experts and trainers that provide valuable insight on the matter that can help beginners and professional athletes alike to best handle this predicament. A training plateau refers to that point in your regimen when there occurs a sudden decrease in the noticeable results of your workouts. It is when you stop progressing such as when you fail to add more muscle, to increase the weights or repetitions, or when there is a decline in your performance or endurance levels. It can occur in strength, cardiovascular, and weight loss programs. The human body is capable of adapting to workout demands and doing the same routines repeatedly will enable it to gain the required strength and endurance to perform them with ease. This is why workouts should be constantly evolved or upgraded to ensure that the body’s endurance or strength keeps improving. When you get stuck with a certain regimen for a long time, you are likely to hit a plateau. Of course, there are other factors that contribute to this situation. These include your eating habits, training methods, training frequency, or routine variations. Trying to figure out the cause could also be baffling. Whether you’re a beginner or an athletic performer, you could easily find yourself wondering how come you’ve suddenly hit a rut in your training. However, there is no need to fret because this scenario is quite common. It is important though that you are able to spot the telltale signs of a plateau immediately so you can address the situation head on. 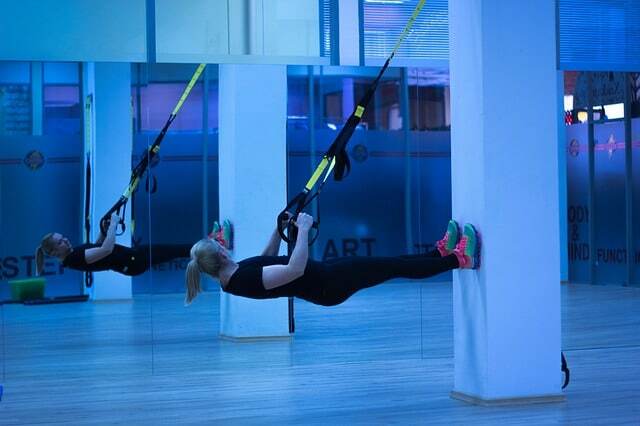 Have you ever felt that you’ve suddenly begun to dread your workout days at the gym? You put it off a day only to put it off yet again. This could be a sign of overtraining. Your body may feel burned out and is quietly sending messages to your mind that you need to take a step back. Mentally, you may want to push yourself up and get back into the routine but this strategy may not be the best for now. It might do you good to let your body recover for a few days while you rethink your next training method. It could also be that you find yourself bored with your exercise routine. You may have been performing the same workout for so long that there is no more fun in the whole process since you’ve got all the movements nailed. When this happens, try to introduce some changes to the routine, increase your intensity or totally shift to a new workout where you can challenge both your mind and body to do more. When you’ve done the same exercise for a prolonged period, you are likely to hit a plateau sooner. As mentioned above, it is always recommended that variations are introduced so that your body stays challenged. You can stay with your current routine but make sure to alter some elements including speed, distance, intensity, or resistance. You can also shift to an entirely different program. If you are encountering a plateau in strength training, then try to add a few extra repetitions or to increase the weights. Sometimes, you will notice a loss in overall strength of performance. For example, you may find that you could not lift the same weights you used to or do the same number of sets. This could be a sign of overtraining and your body may be crying out for some rest. The same is true if you feel sorer and more rundown compared to before. Exercise is supposed to give you energy but if it leaves you perpetually fatigued, then you need to give your body ample time to recover. You may need up to a week of rest to completely recharge. There is no need to avoid rest periods. Your body needs these. You can be assured that you’ll come back feeling renewed and re-energized. Generally, doing the same routine repeatedly will it make it easier over time. 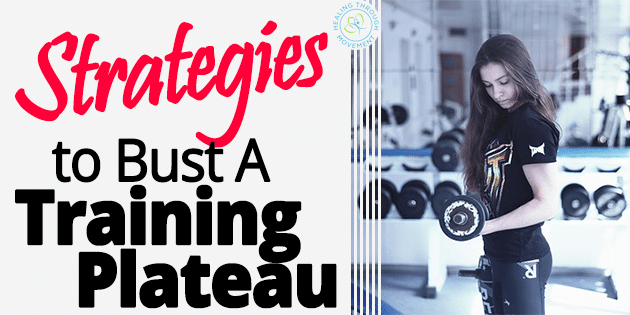 But if you notice that you are barely sweating or if you have time to chat while doing your workouts, then it means the routine is no longer challenging. It may be time to increase the intensity of your workout. It is also a good idea to wear a heart monitor. This will help you determine when it’s time to intensify or slow down your workouts. Taking a break from the gym or physical activities is one of the easiest ways to help you bust the plateau. After about a week to 10 days of recovery, you will be able to attack your workouts with more strength and energy. This is especially true if you’ve been working out for about 6 to 8 weeks. Your muscles need time to repair and observing a recovery period is crucial to building new muscle tissues. Recovery periods also allow your central nervous system to relax and gives your joints a break from the impact of heavy training. Just don’t associate rest with binge eating and filling up your body with unhealthy stuff. Even during this period, you still need to observe the right nutrition. It is also good advice to so some light physical activities such as brisk walking or yoga. Incorporating these activities makes it an “active” rest period which will help to keep you motivated to get back to the gym with renewed energy. If you’ve begun dreading the treadmill or if you feel like you’re doing more hours on it without seeing much results, you may consider setting apart 1 or 2 days in a week for a high-intensity interval training (HIIT). HIIT workouts burn more fat and calories compared to low impact or low intensity steady state (LISS) exercises. They also deliver high bursts of energy that could speed up your heart rate and boost your metabolism. Go for a total-body circuit training and do these on alternate days. This will help you bust that plateau. It is quite common to stay with the same routine from weeks to several months because you’ve become too comfortable with it. You may begin to feel that going through the motions of your routines feels like a breeze. This should alert you though that the workout may no longer be working for you because your body has already fully adapted to the motions of the exercises. When this happens, you hit a plateau and this calls for a variation in your training. Try to figure out the weak points in your routine and change them by either increasing the intensity or speed. You may also shift to a totally different type of activity. It is important to keep challenging the body by introducing new stress stimuli. When an exercise becomes less difficult, there is a great chance of hitting a plateau and you want to avoid this. Make sure that you change your routine every 4 to 6 weeks to prevent a halt in your progress. If you hit a plateau in weight training, what you can do is to switch up the number of repetitions or gradually increase the weights. Higher weights will stimulate muscle growth. It will challenge you both physically and mentally. Also, consider variations in sets, frequency, tempo, and duration of your routines. This will prevent adaptation that could lead to a plateau. If it’s a weight-bearing or strength training workout, make sure to keep it below an hour. 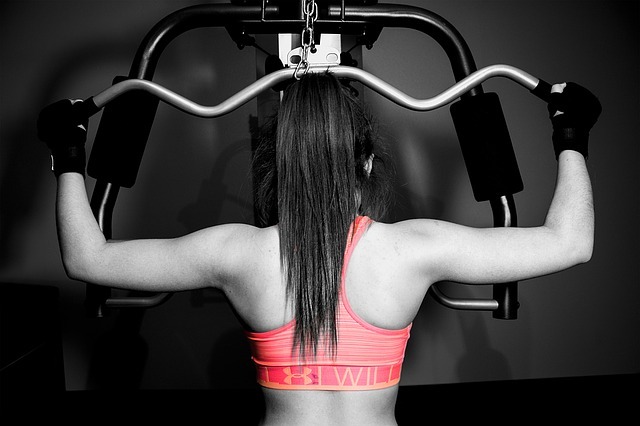 The goal of weight training is to stimulate muscle growth. However, doing these activities for a prolonged period can do just the opposite. It can produce muscle breakdown instead of muscle development. This causes weakness and fatigue which are characteristic of overtraining. According to research, growth hormones of the body are released within 30 minutes of exercise but begin to decline thereafter. Thus, it is recommended that weight-training workouts are kept below an hour. As for cardio activities, the duration should not exceed 30 minutes. Another common way to overdo training is to do excessive cardio programs within the same week of strength training routines. When muscles are being trained, they will eventually burn fat even at rest. Excessive cardio workouts that exceed 30 minutes may hinder the muscle building process. Without a doubt, integrating various activities such as cardio and strength training into a fitness regimen will reap more benefits than just focusing on either approach alone. Just make sure to observe the right balance and combination between these training methods. When you’re working out, you’re burning calories and fat. This speeds up your metabolism and you will find that eating 3 meals a day may not be enough to keep you feeling full. If you need to eat up to 5 times a day, make sure to examine the nutritional value of those meals. It is best to increase your protein intake especially when your goal is to build or shape muscles. Not only will this help in the muscle building process but it will also keep you feeling satiated for a long time. Aim to consume at least one gram of protein for every pound of bodyweight. Also, choose the right sources of protein. Ideal sources include eggs, lean meats, nuts, and protein shakes. Working out depletes the body of water. It is important to keep replenishing the lost fluids to make sure that you can perform at optimum levels. 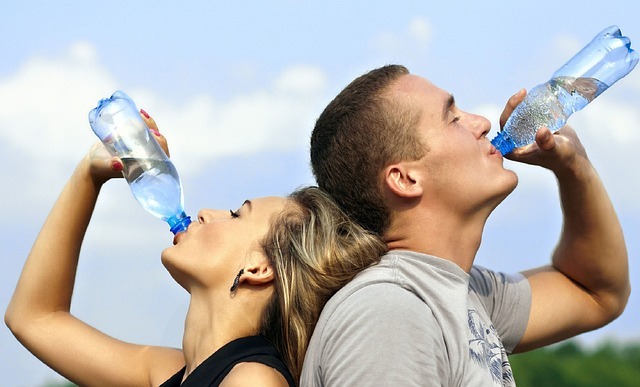 The slightest amount of dehydration can cause fatigue, muscle weakness, dizziness, cramps, and below par performance. Drinking lots of water makes you sure you maintain your athletic performance levels. Start your morning by drinking a tall glass of water and keep replenishing your fluids throughout the day. Introducing workout variations, increasing frequency and intensity of exercises, as well as eating the right food types are critical to achieving training goals and beating plateaus. However, observing proper recovery periods and getting quality sleep each night are also essential. A lot of people underestimate the value of a good night’s rest. It is during the period of sleep that the cells regenerate and build up new tissues to form the muscles. Lack of sleep slows down the metabolism and increases muscle loss. It puts all those hours of working out to waste because the body is unable to recover and rebuild itself properly. It is recommended that adults get about 7 to 8 hours of undisturbed sleep each night. So if you want to get the most benefits from your workout, don’t miss out on your sleep. A plateau is certainly not something you would enjoy. It is frustrating and may even cause some demotivation. You can be assured, though, that you can beat it. You can bust this rut in your training, set higher goals, and get moving towards them. So the next time you hit a plateau, don’t despair. Try some of these tips and you’ll certainly overcome this temporary setback. As in life, just don’t give up too soon. Rethink your strategies, get back on your feet, and keep going.